My oldest two kids have been playing the same Nintendo 3DS systems for several years now. Sometimes it ends up in a drawer for a few weeks while they play the WiiU but they always return to those handheld game systems. Most recently they charged them up to check out new Nintendo Selects games available for Nintendo 3DS and 2DS that the awesome folks at Nintendo sent them! 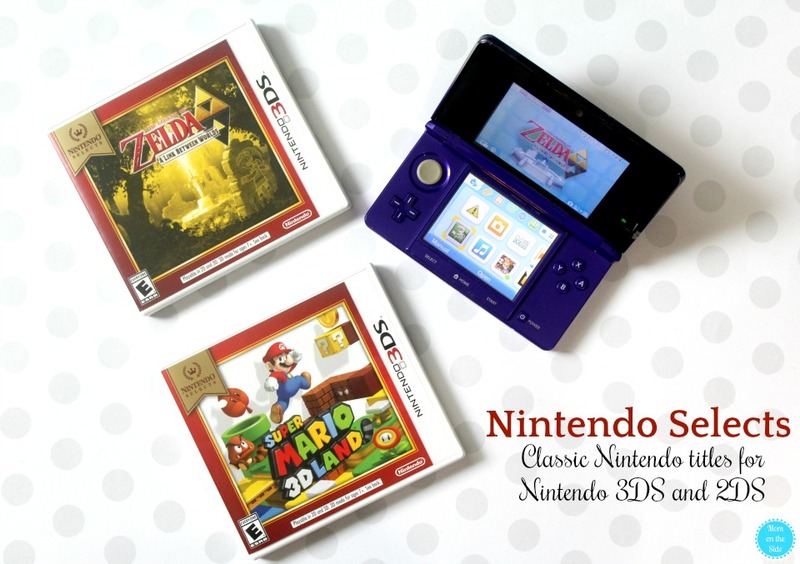 Nintendo Selects are a collection of classic Nintendo titles priced at just $19.99. They have a special gold emblem and red border packages s you can easily find them. 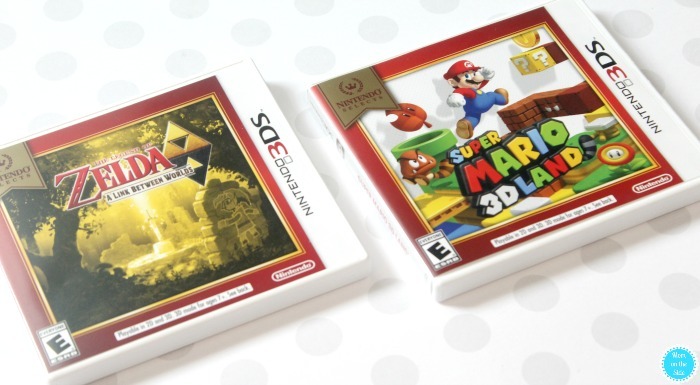 We were recently sent Super Mario 3D Land and The Legend of Zelda: A Link Between Worlds for Nintendo 3DS. Without a doubt, Zelda is the favorite of my oldest daughter. 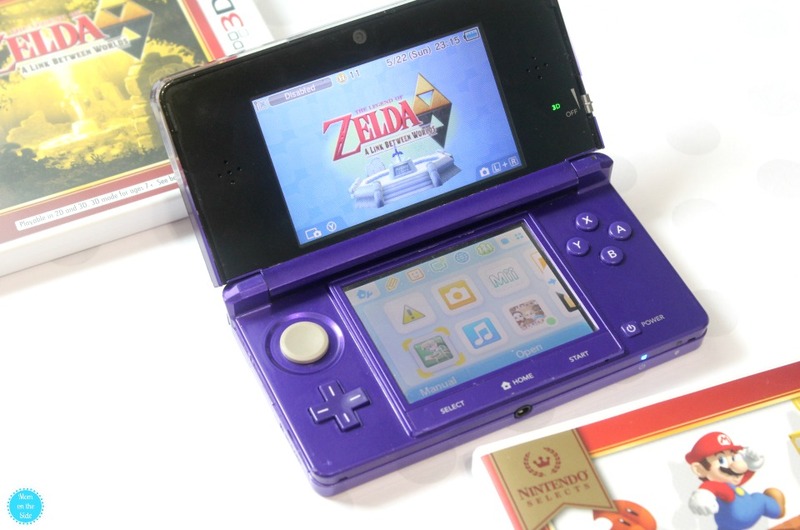 In The Legend of Zelda: A Link Between Worlds you encounter two worlds that have collided in an adventure set in the world of Super NES classic. My daughter really enjoys the little games and challenges within the game. Like my other like daughter because that’s always my favorite part of playing games too! The other game, Super Mario 3D Land, brought me right back to childhood. Super Mario was always my favorite game, specifically 3, and this game is a fun spin on a familiar tale in the Mario platforming environment. Plus, it’s in true 3D, WITHOUT the need for special glasses! I browse the Nintendo eShop from time to time and I love that the Nintendo Selects are priced at $19.99. Compared to $39.99 for a new game that isn’t nearly as memorable that’s a great value. A price my kids can easily save up for and they also make great gifts. Plus, they are easy to get the hang of and the graphics don’t drive you bonkers.